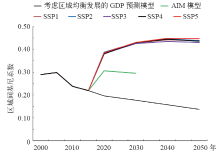 In this paper, a GDP projection model was constructed based on the Cobb-Douglas production function and the Autoregressive Integrated Moving Average (ARIMA) model. Under the consideration of balanced development the Gini coefficient of provincial GDP per capita was used to measure the degree of development balance. 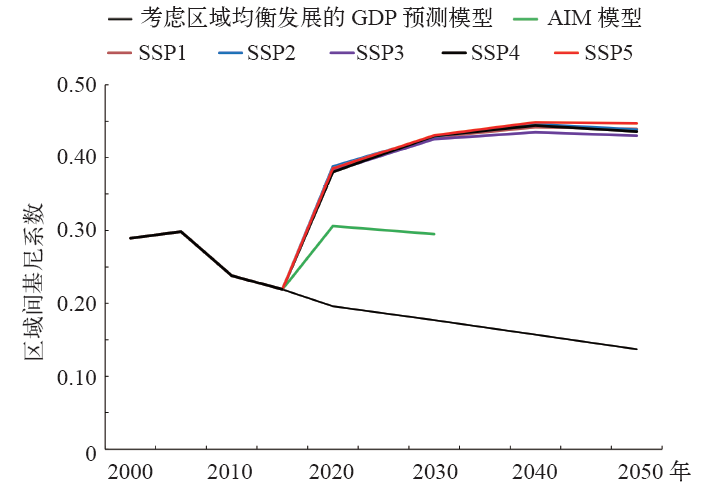 This model projects Chinese provincial GDP and GDP per capita from 2016 to 2050. Based on the balanced development from technology, labor, and capital. The projection results show that from 2016 to 2050, the gap between the GDP and GDP per capita in each province will shrink and the Gini coefficient will decline. 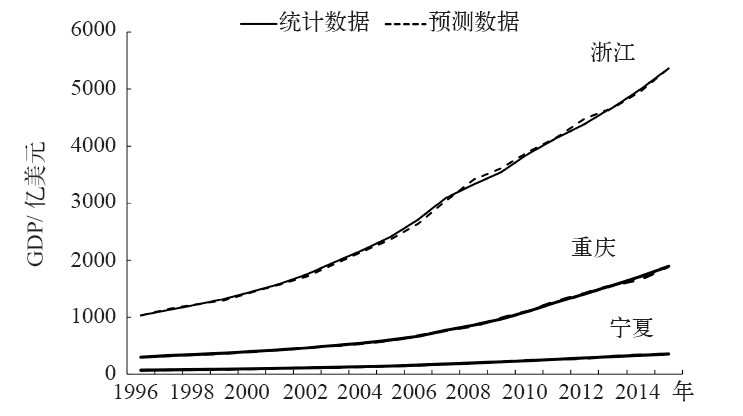 In this projection, the Gini coefficient will decrease from 0.219 in 2015 to 0.176 in 2030 and then to 0.137 in 2050. The results also show that development of each province will tend to be balanced in the future. 张强,黎楠,陈文颖,单葆国,张成龙,尹硕. 基于省区协调发展的GDP预测模型[J]. 气候变化研究进展, 2019, 15(1): 54-61. Qiang ZHANG,Nan LI,Wen-Ying CHEN,Bao-Guo SHAN,Cheng-Long ZHANG,Shuo YIN. 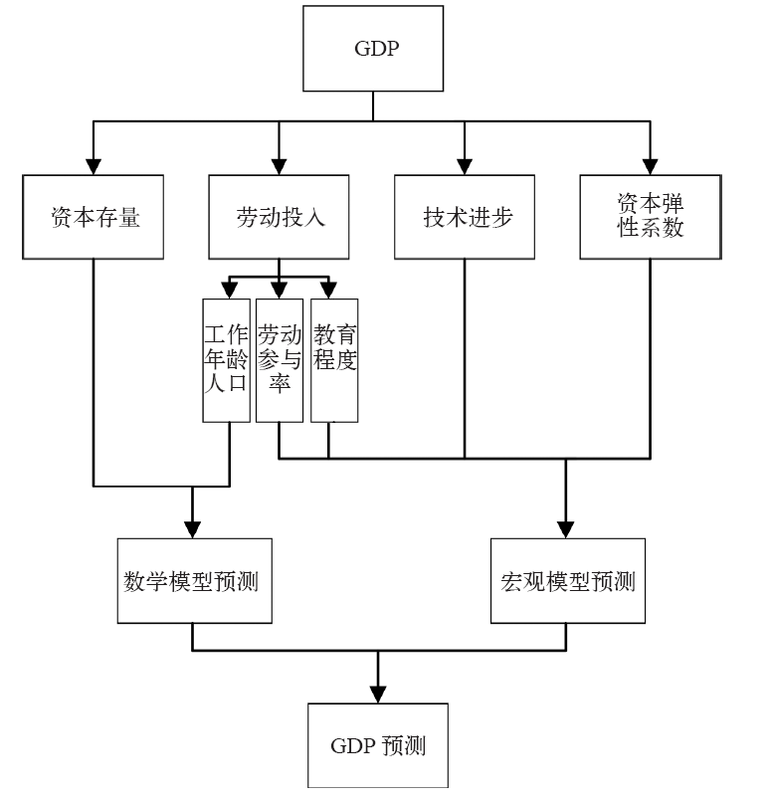 Provincial GDP projection model based on balanced development. Climate Change Research, 2019, 15(1): 54-61. 国务院. 国务院关于大力实施促进中部地区崛起战略的若干意见[Z/OL]. 2012[ 2018- 05- 01]. 国务院. 国务院关于进一步推进西部大开发的若干意见[Z/OL]. 2004[ 2018- 05- 01]. 国务院. 国务院关于进一步实施东北地区等老工业基地振兴战略的若干意见[Z/OL]. 2009 [ 2018- 05- 01]. 国务院. 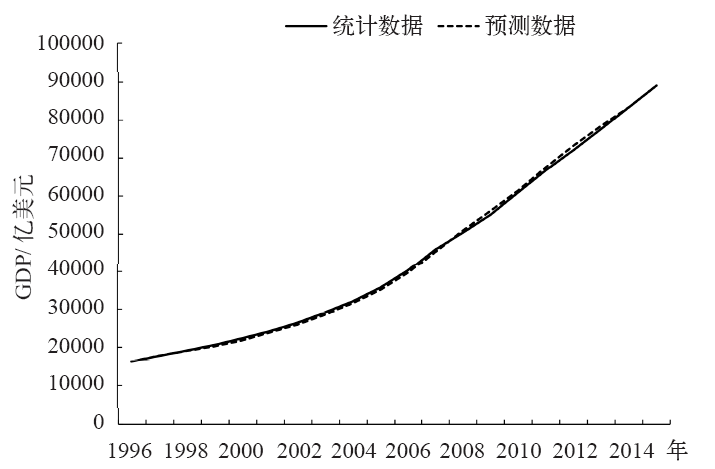 国务院关于近期支持东北振兴若干重大政策举措的意见[Z/OL]. 2014 [ 2018- 05- 01]. 王谋. 世界排放大国CO2排放和GDP的格兰杰因果分析及其对国际气候治理的影响和意义[J]. 气候变化研究进展, 2018, 14(3): 303-309. 马晓哲, 王铮, 唐钦能, 朱永彬. 全球实施碳税政策对碳减排及世界经济的影响评估[J]. 气候变化研究进展, 2016, 12(3): 217-229. 赵凤彩,尹力刚,高兰. 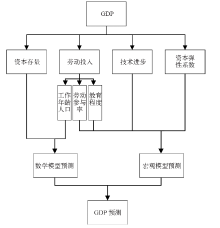 国际航空碳排放权分配公平性研究[J]. 气候变化研究进展, 2014, 10(6): 445-452. 滕飞 何建坤 潘勋章 张弛. 碳公平的测度：基于人均历史累计排放的碳基尼系数[J]. 气候变化研究进展, 2010, 6(06): 449-455.